As promised at Blizzcon 2017, today’s massive 7.3.5 update for World of Warcraft implements the level scaling introduced in the Legion expansion across the whole game. This allows players to tackle the game’s leveling zones in the order of their choosing, within limits. 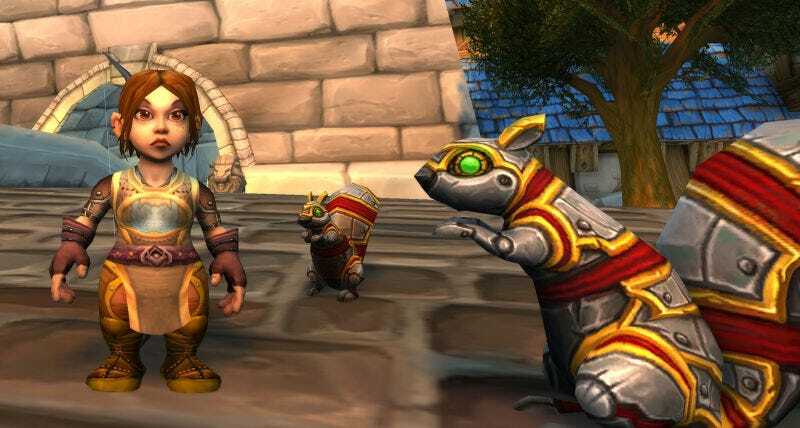 Prior to today’s patch, there was a certain order to leveling a character in World of Warcraft. New characters began in a starting zone, where they quested from level 1 to 10 or so. From there they’d move on to a 10-20 zone. Then a 20-30. Somewhere between level 58 to 60 they’d move to the Burning Crusade expansion content, after which they’d die of boredom. But no longer! With level scaling implemented, starting zone experience and equipment rewards now scale from level 1 through 20. Once players hit level 10, they can move on to Ghostlands, Loch Modan, Silverpine Forest, Azshara, Bloodmyst Isle, Darkshore, the Northern Barrens or the Ghostlands, each of which scale from 10 to 60. New zones open up every five levels from there until level 40, when all of the normal 1-60 zones are open for business. At level 58, players can now choose between the Burning Crusade’s Outland (boo!) or Wrath of the Lich King’s Northrend (yay! ), both scaling to level 80. From there it’s on to Pandaria, Deepholm or Cataclysm lands to 90, with Warlords of Draenor and Legion waiting to take players to 100 and 110 respectively. If that’s all a bit confusing, WowHead has an excellent table for keeping track of where you can level and when. The update also introduces level scaling to dungeons, meaning players who mainly level using the dungeon finder will have a great many more options available to them across all levels, instead of having to grind through level-appropriate dungeons over and over again. If you were looking to get into World of Warcraft (or return with a new character), now’s a great time to do it. Check out all the changes coming in update 7.3.5, including new questlines and an enhanced S.E.L.F.I.E. camera, in the official patch notes.